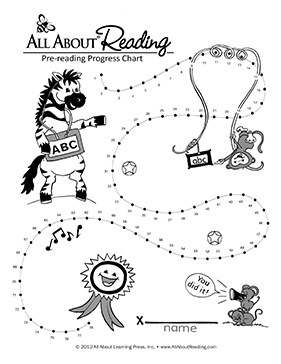 All About Reading Pre-reading Student Packet - All About Learning Press, Inc.
One Student Packet is included with the purchase of any All About Reading Pre-reading Basic or Deluxe Package. Additional Student Packets can be purchased individually. Click the graphic below for a free Pre-reading Progress Chart! This includes the Activity Book, Cards, and Alphabet Charts. © 2019 All About® Learning Press, Inc.